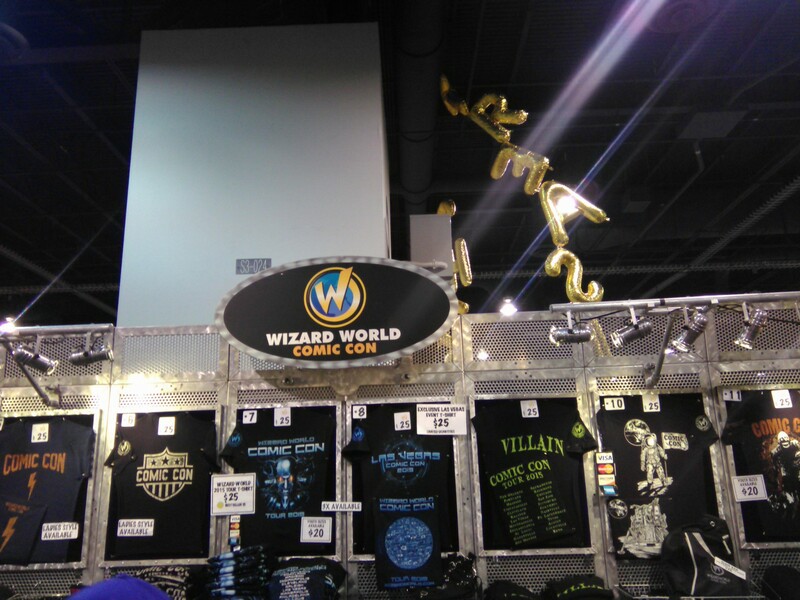 At the ripe old age of 46, I have never been to a comic book convention. 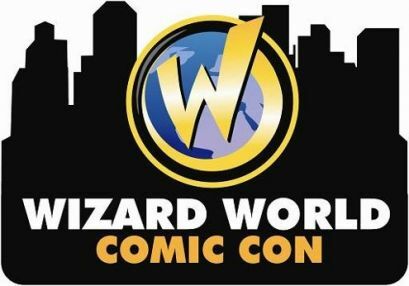 My 3 kids wanted to see the one in Las Vegas, I contacted Wizard World Comic Con PR Folks and asked them for passes to check out and cover our impressions of the show. 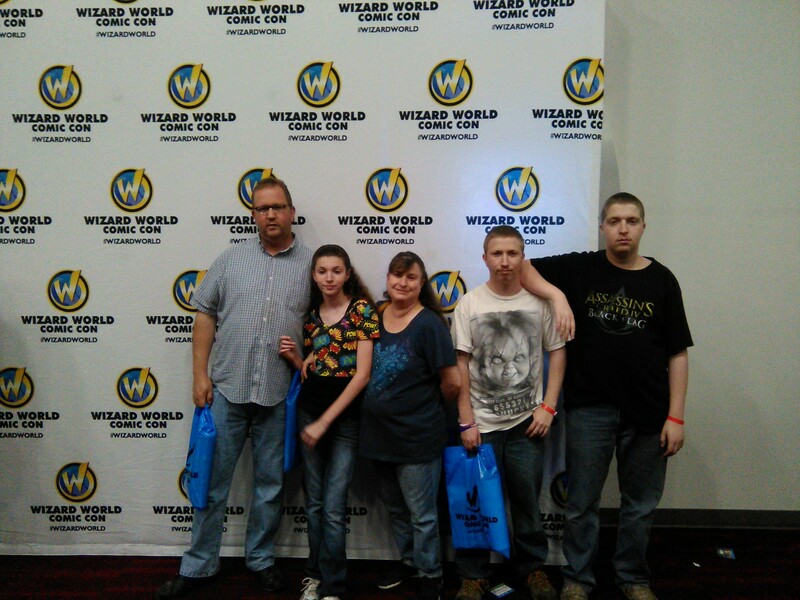 We received 5 3 day passes which we really appreciate a great deal. 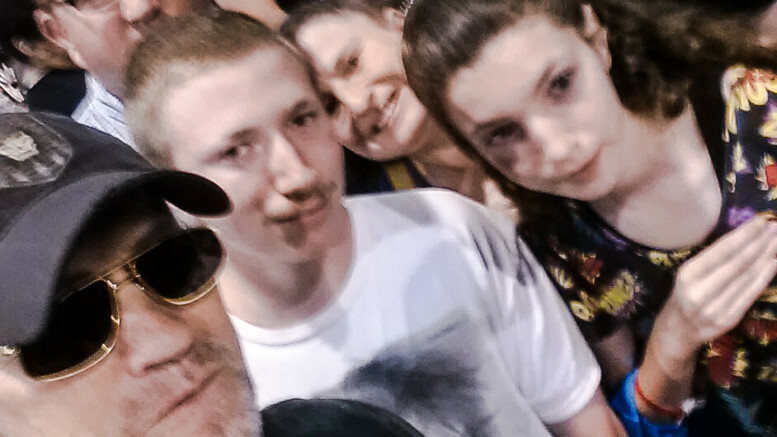 My kids love comics, my wife Loves Back to the Future. I am a fan of scifi and fantasy books, tv shows and movies. Overall it was a cool experience. See a short video of the crowd, Kevin Sorbo, Lou Ferigno. 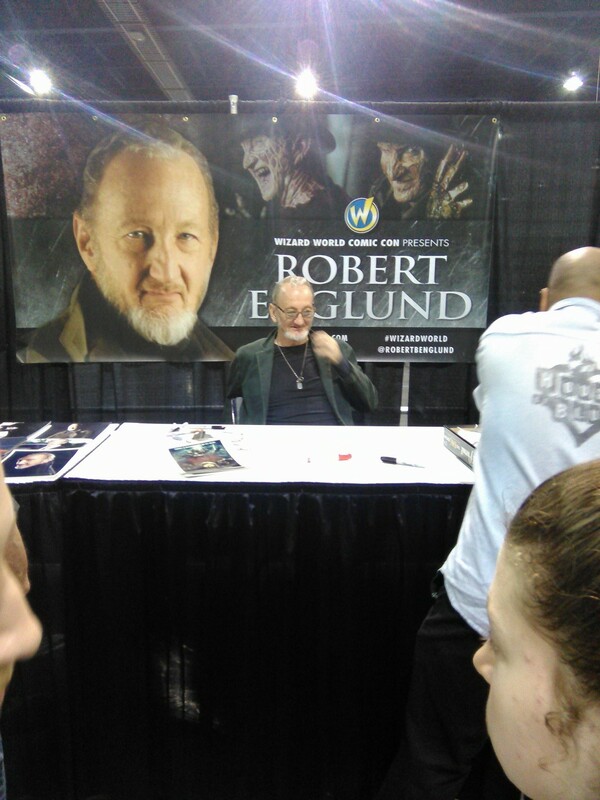 While there we met Elvira, Robert Englund, Michael Rooker who was a really nice and a few other celebrities. A photo of us with Michael Rooker. 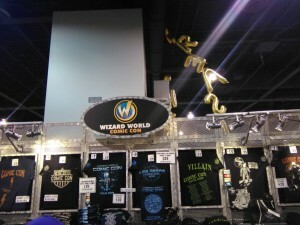 For more information on Wizard World Comic Con go to–>Wizard World!! 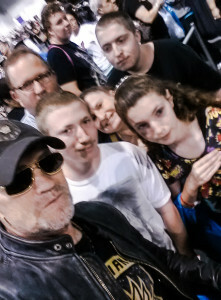 If you can help us to help autism please do so today, make a donation or donate something to help us with fundraising. If you need books reviewed, or movies or comics please let me know as well! 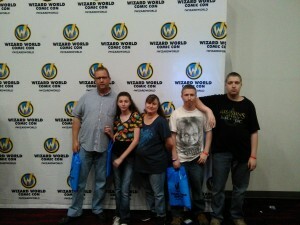 Be the first to comment on "Our visit to Wizard World Comic Con Las Vegas"